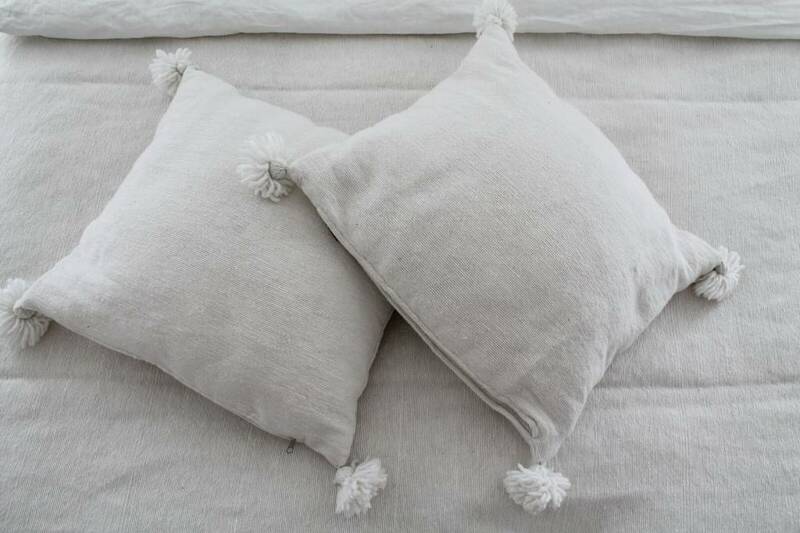 Moroccan Pom Pom sheet and pillows | Simply Pure - simply pure. 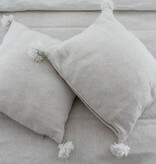 Our elegant Pom Pom sheets and pillows are handmade in traditional workplaces in the old streets of Marrakech. The weavers use old-style looms to make the sheets and afterwards they manually place the characteristic ‘Pom Pom’ balls on the sides. 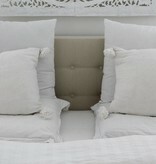 The sheets and pillows are made of 100% cotton and can be used for on the bed or on the couch. 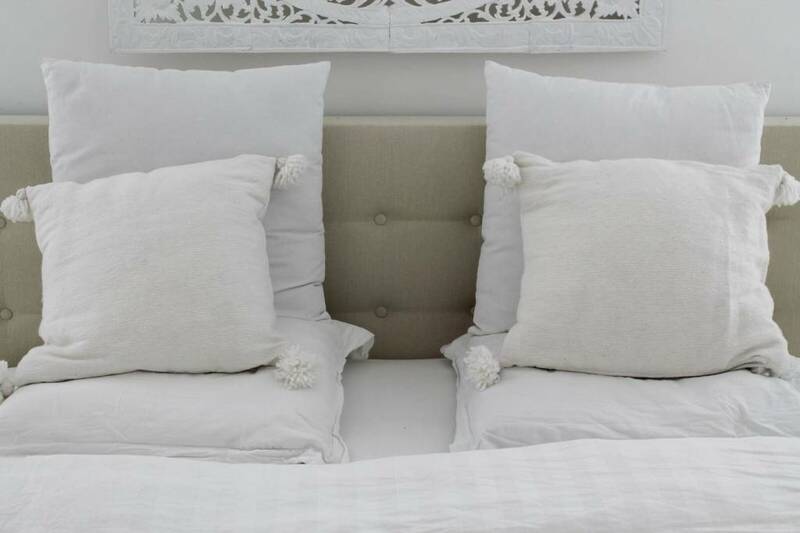 A set of 2 pillows and 1 sheet. 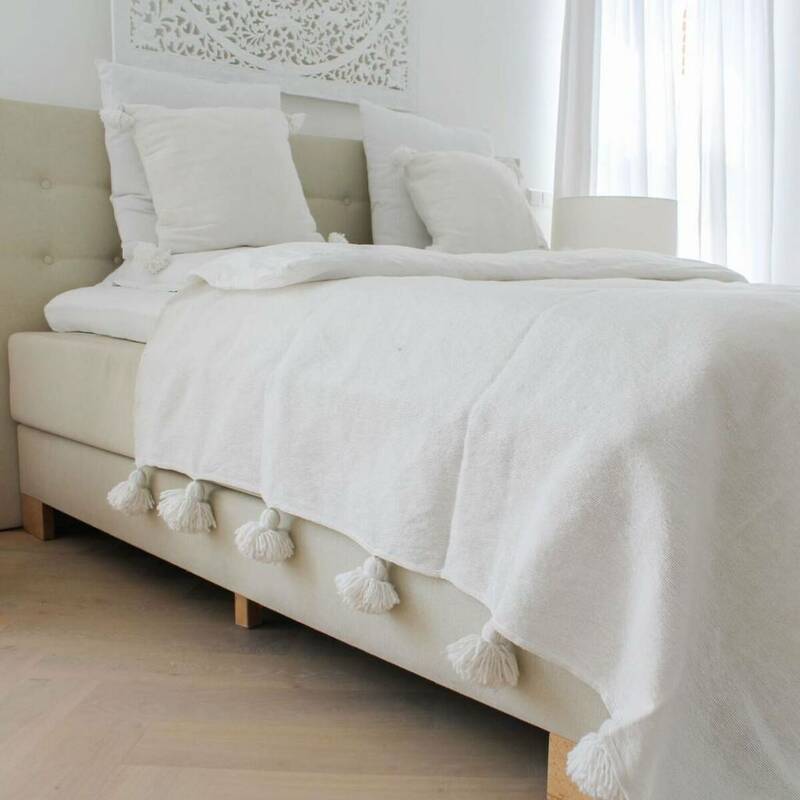 Ideal for on the bed or on the couch.